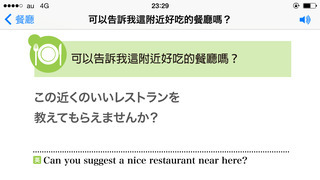 Get "Point and Learn Japan Travel Conversation" for your trip. You can find expressions and words whenever you need. It's ready for use in a minute. You can flick and shake. See light and smooth move. You can find exact expressions. Zooms each phrase and point the screen to show it. by shaking or tapping the screen. *You can shake to play only phrase files. You can listen to the pronunciation of the word. Tap the word to play it. Enjoy scrolling and playing at the same time. 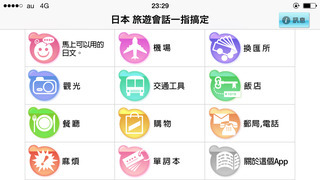 ・Push notifications have been added. Push notifications will alert you when new information is released on "Info" section.